Graphite and SiC ceramics – SEEIF Ceramic, a.s. Shaped refractory products forming a part of the closing mechanism of casting ladles and supplementary products in a metal casting in foundries and smelting plants. Shaped refractory products for metal casting in foundries and smelting plants. Graphite stoppers CLSTOPPER are shaped refractory products forming a part of the closing mechanism of casting ladles in a metal casting in foundries and smelting plants. Silicon-carbide products – including jets, pipes, tubes, measuring tubes, stirring rods, needles, scoops, etc. 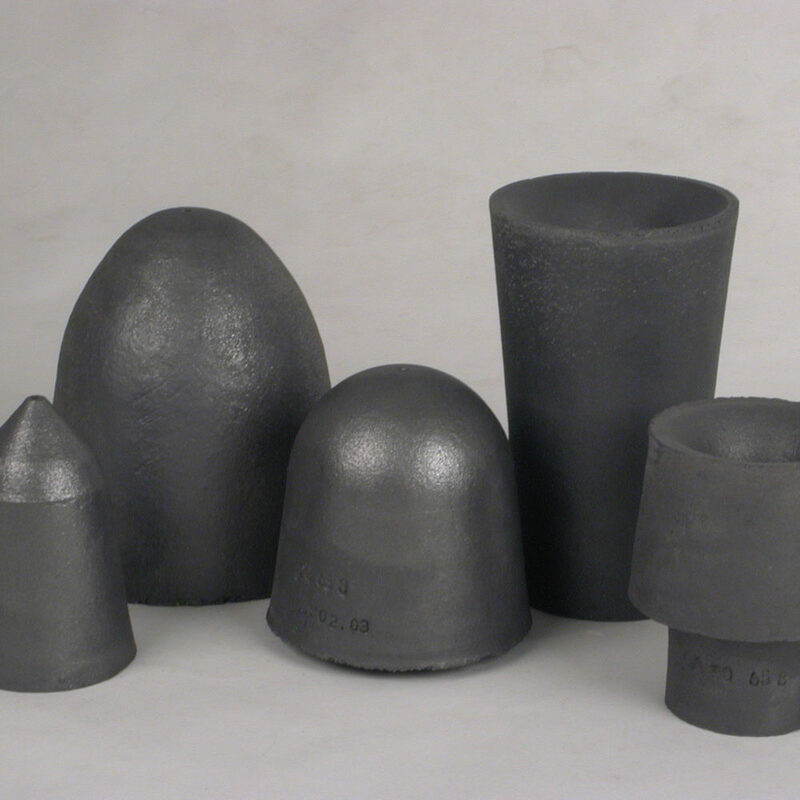 Graphite-fireclay stoppers and nozzles are refractory shaped products based on graphite and refractory grog with a ceramic bond used as a part of the closing system of casting ladles. These products secures safe sealing of bottom pouring ladle opening, allowing safe repeated opening and careful draining of liquid metal. When bottom pouring ladle casting is used, there is no splashing of metal and therefore there is no oxygenation of cast metal. Using this system, a quality and purity of a metal is increased. 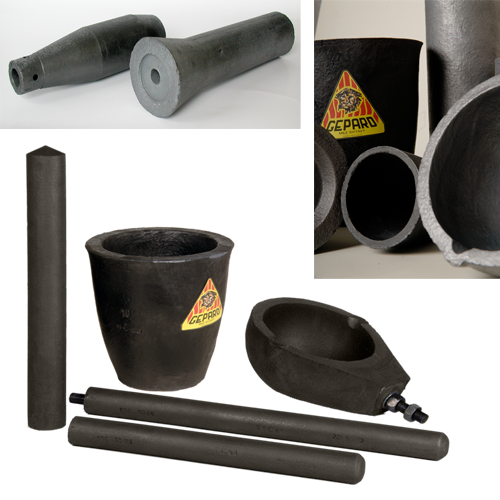 Monoblock stoppers are shaped refractory products based on graphite and highly refractory grog, bonded with a ceramic binding agent. 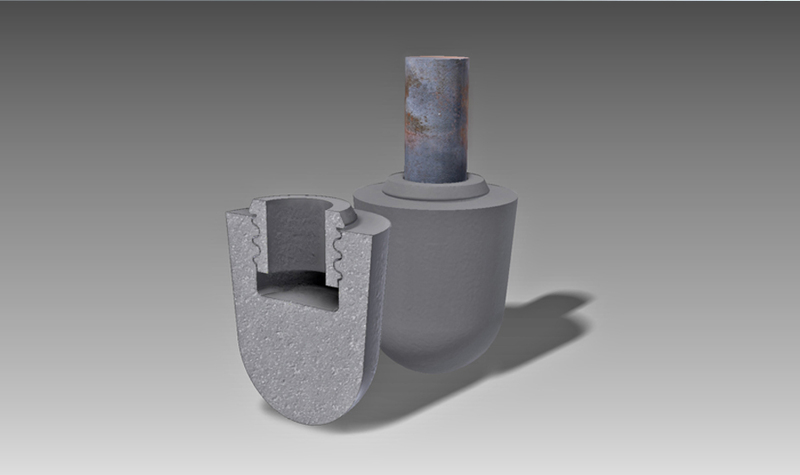 Graphite stoppers CLSTOPPER are shaped refractory products forming a part of the closing mechanism of casting ladles in a metal casting in foundries and smelting plants. The products are based on graphite and refractory grog. CLSTOPPER plugs are fixed to the stopper rod in technically improved way. This connection better resists thermal shock and eliminates the physical interaction between the stopper itself and the stopper rod. Fixation of graphite stopper is carried out through a separate ceramic threaded part. We offer other silicon-carbide products – including jets, pipes, tubes, measuring tubes, stirring rods, needles, scoops, etc. Pyrometric tubes from silicon-carbide. Pyrometric tubes serve the protection of thermocouples against the direct impact of metal and slag when measuring the temperature of the melt. They are suitable for being permanently submerged in the melt. Degassing tubes from silicon-carbide. 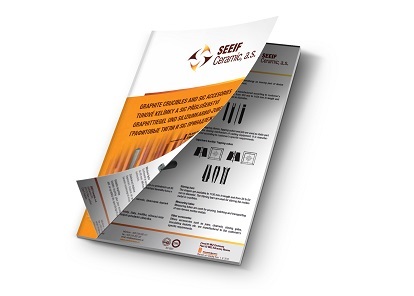 Degassing tubes are shaped refractory products with an increased resistance to thermal shock. The degassing tubes are used for the purification of molten nonferrous metals. Ladle bowls. Graphite ladle bowls are shaped refractory products based on graphite and refractory grog with a ceramic bond. The ladle bowls are used for taking samples of the molten metal or removing slag from the melt.